Storm Chests will start appearing for you in Plankerton – in Mission Levels 28 and above. Storm Chests are not the main objective of missions. 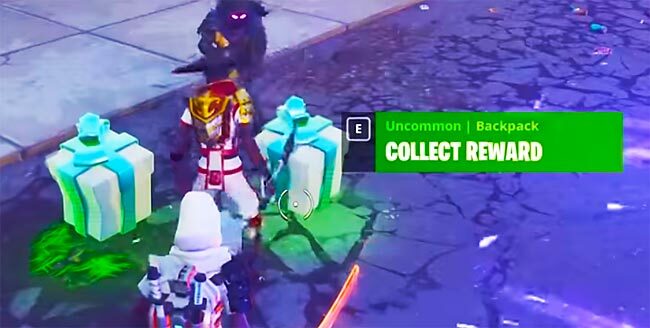 They are bonus chests that randomly appear. They usually appear around the the perimeter of the map, but you will find them in the middle of the map too. They are always on ground level. They are not in basements, or upper levels of buildings. How do you open a Storm Chest? What’s inside a Storm Chest? If you complete Phase 1 & 2, you will get 1 reward box. If you complete Phase 3, you will get 2 reward boxes. Storm Chests will usually drop a good amount of rare crafting materials, and 1 or 2 weapons. Don’t Solo a Storm Chest! 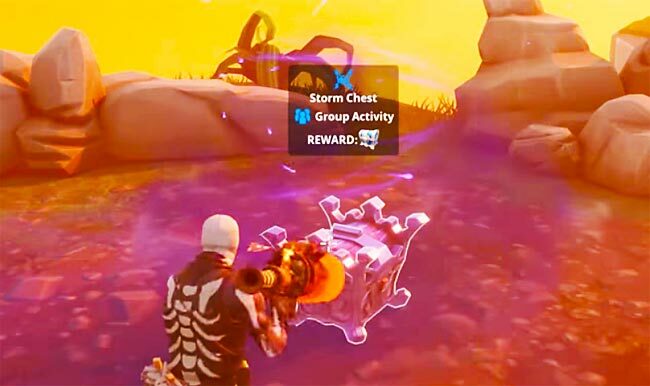 Storm Chests are considered a Group Activity. Each player will get their own Loot Boxes. So you might as well tell everyone in Group Chat that you have found a Storm Chest. And then give everyone a minute or two to your area. Unless you are overpowered, storm chests are difficult to solo. Only players in the area of the Storm Chest during the battle can obtain the loot, so it’s rude to exclude the rest of the group. Clear the area around the Storm Chest. Kill off mobs in the area so you don’t accidentally aggro them. Remove all debris like Trees, Rocks, Bushes, Structures, etc. It’ll be easier to kill husks quickly if you have direct line-of-sight on them.